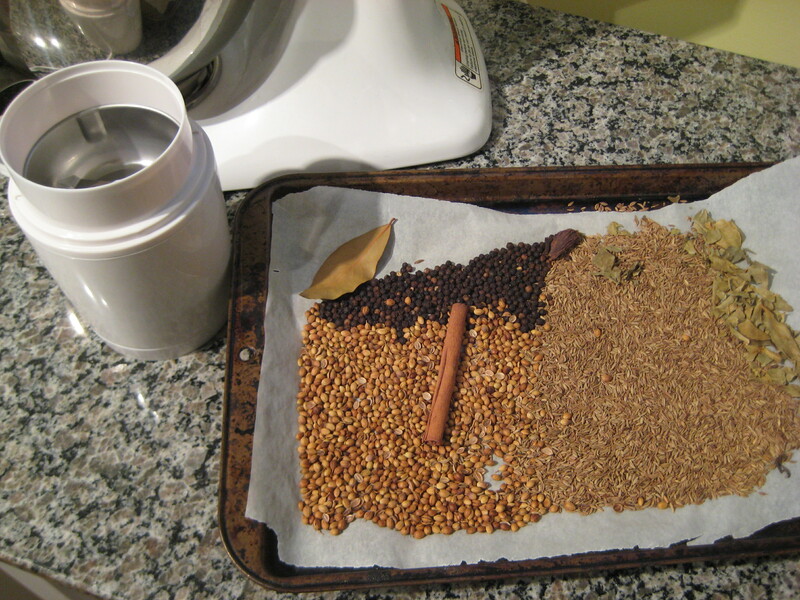 Fresh spices are best, and what better way to enjoy spice blends than to make your own! Most, if not all, spice blends have many variations, so feel free to be selective about the ingredients so the final result suits your tastes. 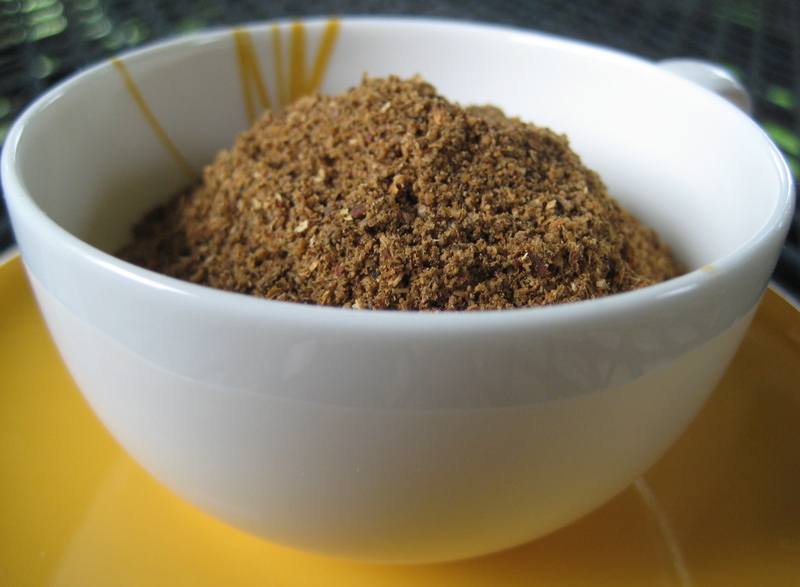 I first made this garam masala in 2012, and have since made some tweaks to the recipe. This is the updated recipe, which I like even better than the first. I’ve been intrigued with Indian cooking lately. It’s always fun to explore a new cuisine, and Indian cooking introduces a wide range of new spices into my repertoire. This kind of adventure is a great way to keep my love of cooking fresh and new. I hope you’re enjoying this journey with me! 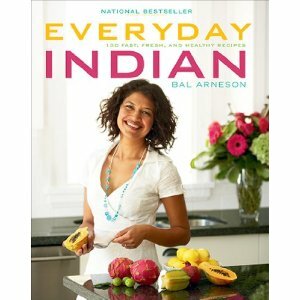 My principal guidebook so far is Bal Arneson’s Everyday Indian. For those of you who aren’t Food Network aficionados, Bal has a program called Spice Goddess, which is a great introduction to simple Indian cooking. I bought her book recently (scoring an autographed copy, even though I missed her at the store) and have learned a lot from it already. On Saturday I went to a local Indo-Asian shop to stock up on ingredients (more about that here) and yesterday I took advantage of a rainy morning to make my own garam masala. I started by assembling all the spices required. I spread the spices out on the cookie sheet (lined with a piece of parchment paper for ease of transfer) and then toasted them in the oven. The fragrance of the heated spices wafted through the house and outside, and was pleasantly aromatic. Once out of the oven, I left them to cool before grinding. You can see from the photo below how the heat intensified the colour of the spices; you’ll have to take my word that it also brought out the aromas. I finely ground the spices in a coffee grinder reserved exclusively for spices (I like these flavours, but not in my coffee please!). Recently I made an Indian cauliflower and sweet potato dish, and the recipe called for garam masala. Unfortunately, all I had on hand at the time was a packet purchased in the dim and distant past. Like any spice mixture, the fresher the better. I did a sniff and taste test of the older purchased version and my freshly ground mixture. The older mix had a mild fragrance, and when I tasted it the spices were very subdued. In contrast, the freshly ground mixture had a heady fragrance with a toasty note, and the taste of a dab of it was bright and vibrant, with just the right spike of heat for me. Need I say the old packet went into the garbage right away? I can hardly wait to try my cauliflower dish again to see the difference my freshly made garam masala makes. 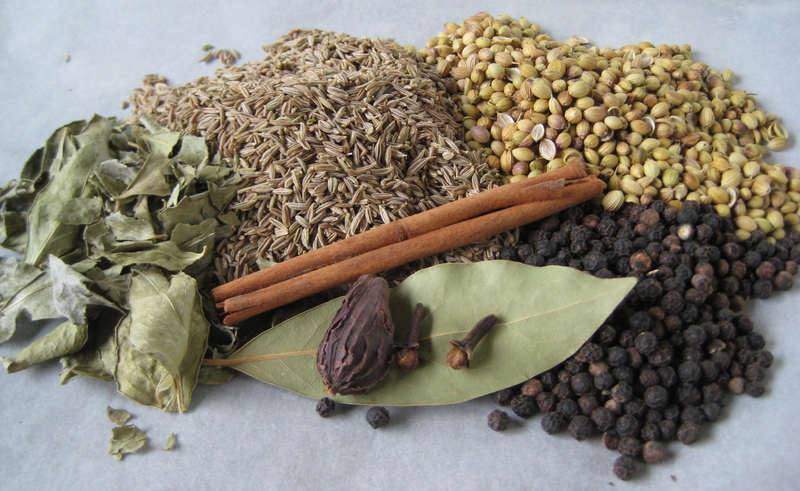 Here’s how you can make this frequently-used Indian spice mixture in your own kitchen. I recommend you don’t wait for a rainy day. My recipe is inspired by the version in Bal Arneson’s Everyday Indian, with the addition of some fennel seeds and a nutmeg. I like the flavour they add, and they tone down the heat a bit too. If you’re like me and only use garam masala on occasion, you could easily share at least half of this recipe’s yield with a friend. Pre-heat the oven to 325º F.
Combine all the ingredients, spread them on a rimmed baking sheet and toast in the oven for 15 minutes. Let cool and process to a fine powder in a grinder. Store in an airtight container in a cool place for up to 6 months. 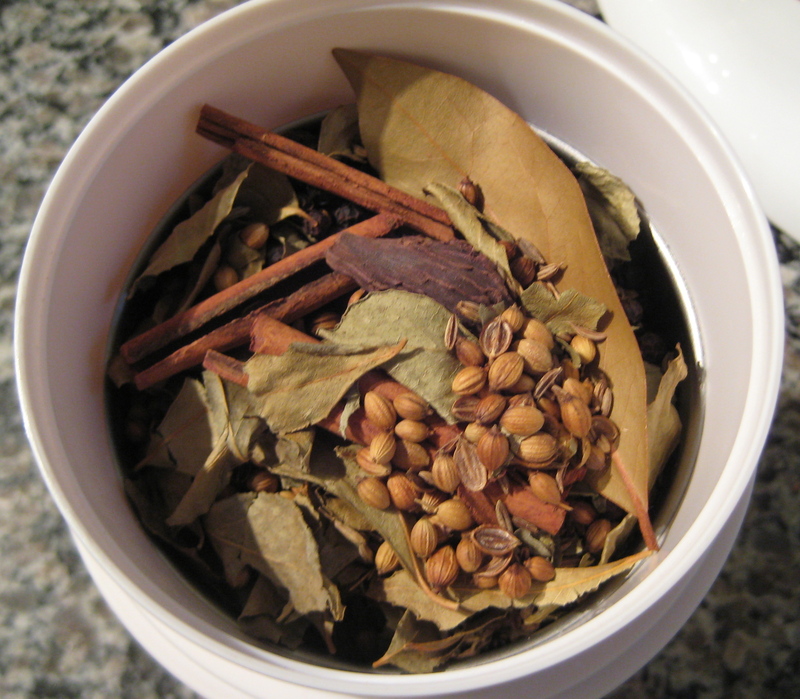 Here are a few spice blends to enjoy on your spice journey: Panchphoran Aloo, Za’atar and Pumpkin Spice. That is one of my favourite cookbooks too! For me, it has made Indian cooking very accessible. As a bonus, I always like to support a Canadian author! Grinding spices fresh is a heavenly experience, so amazing the difference between and fresh and previously ground. I’ll have to look for that coookbook.. I love Indian food and there’s no doubt, these homemade spices would have a fragrance the store bought could never have! Oh, you definitely should add this book to your collection. And I love knowing that she’s a Canadian author, from Vancouver. So much amazing talent here! Glad you hear you’re going to give this spice mixture a try. I quite enjoyed the process of making it. Tx also for forwarding the recipe on to others – I appreciate that! I want so much to learn to make Indian food. Just haven’t tried yet… you have inspired me. I’m happy to hear that! I like to say that I make Indian-inspired food: using the flavour profiles of India – as I am learning to understand them – in my own recipes. For true Indian cooking, I’m sure there are more authentic teachers. That said, I enjoy my exploration and sharing the results with others.